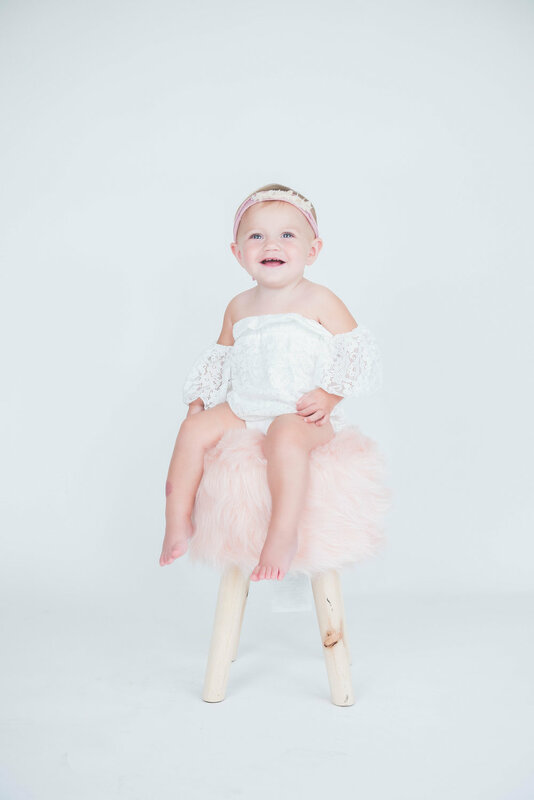 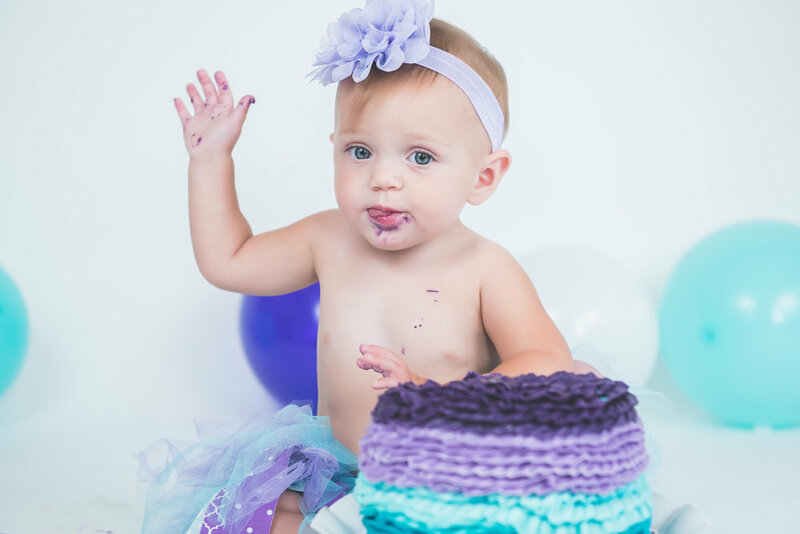 Sweet Avery just turned one and every single image is so beautiful I think I can literally hear my jaw hitting the floor. 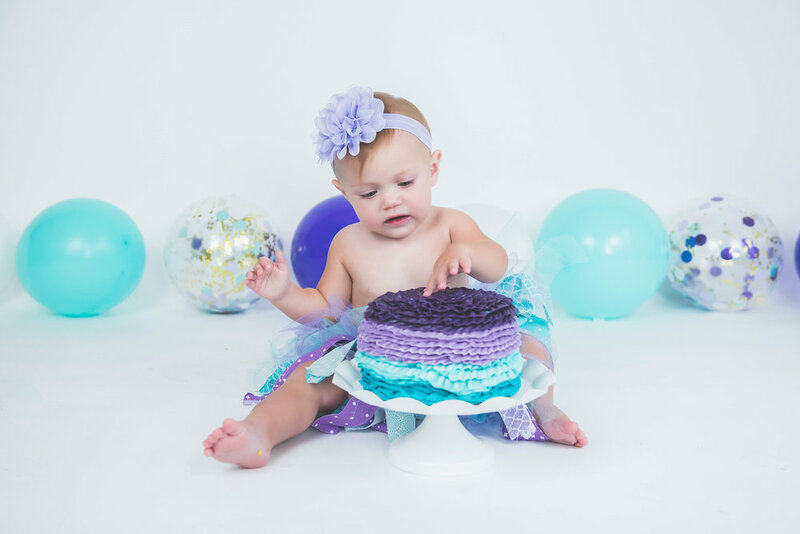 I am a people-centered photographer. 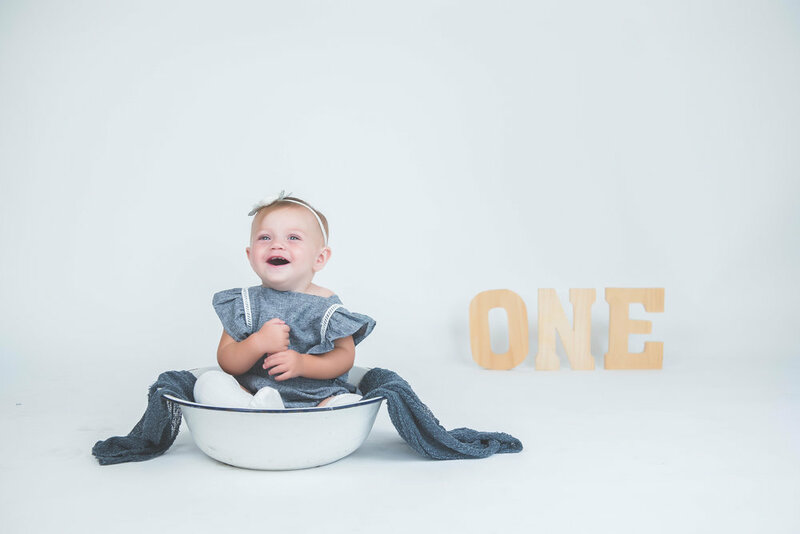 What I mean by that is that I like my subjects to be the focus of all of my images, not the background, not the props, not even the sky (when we are outside). 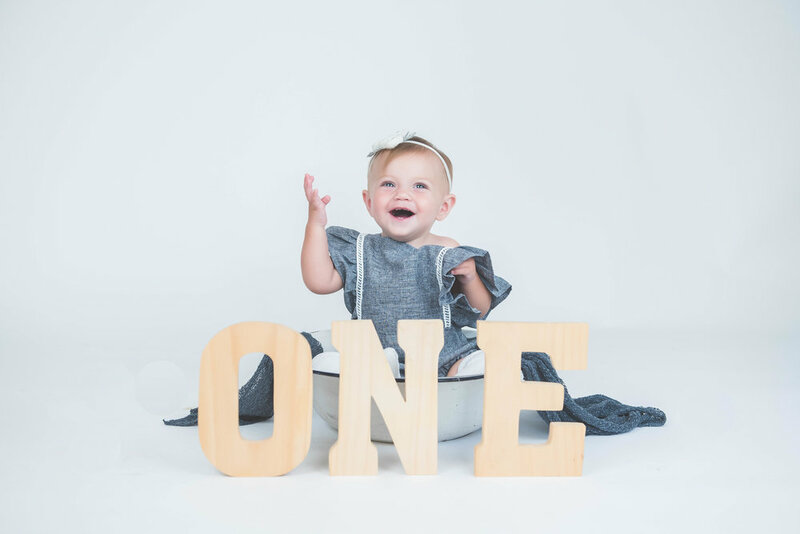 When people look at this image, I want theme to see YOU first. <3 Clean, Crisp, and Timeless is always my motto! 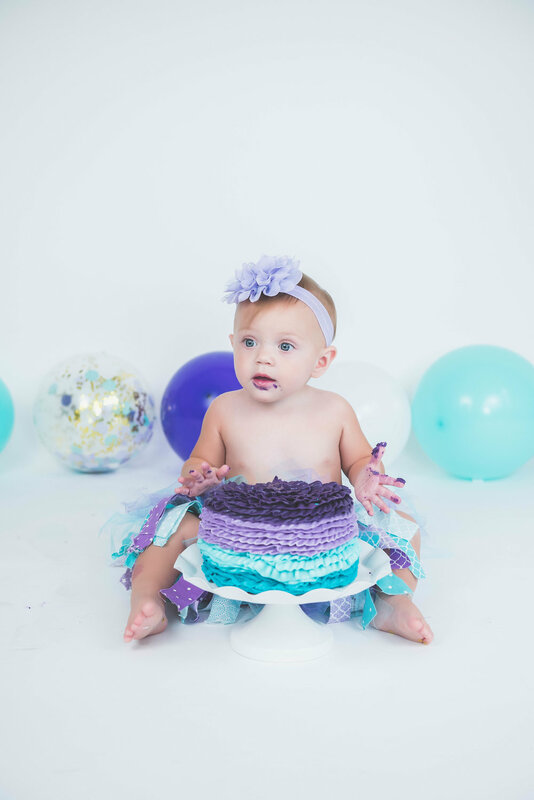 Cake below was made by Emily Jackson out of Mount Pulaski, IL. 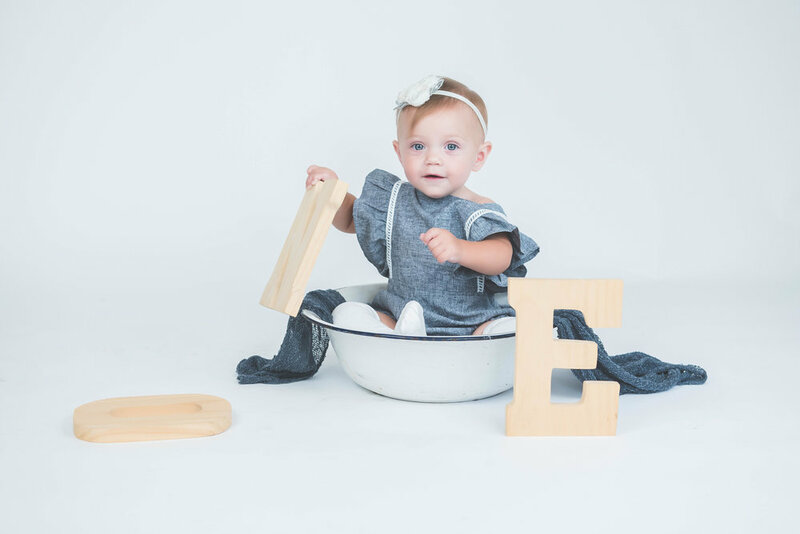 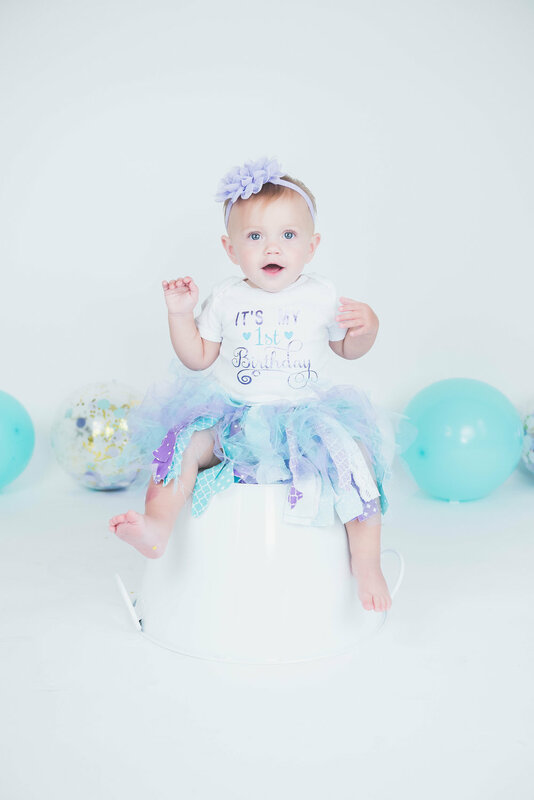 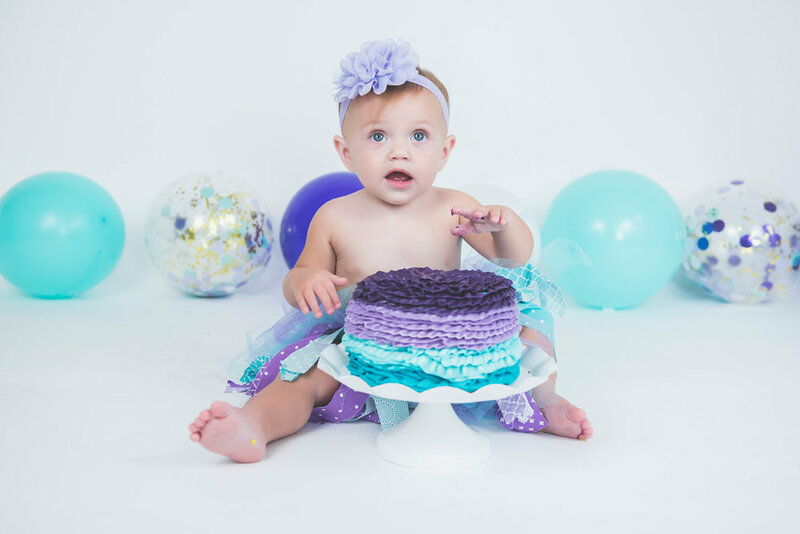 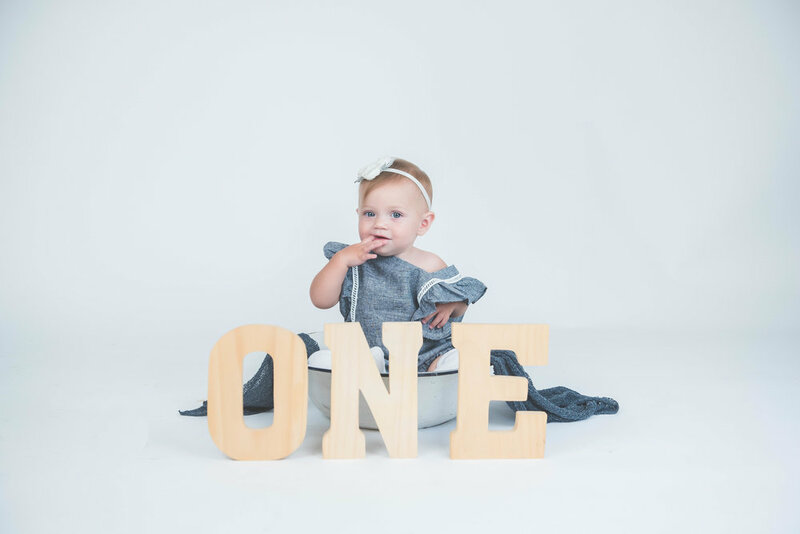 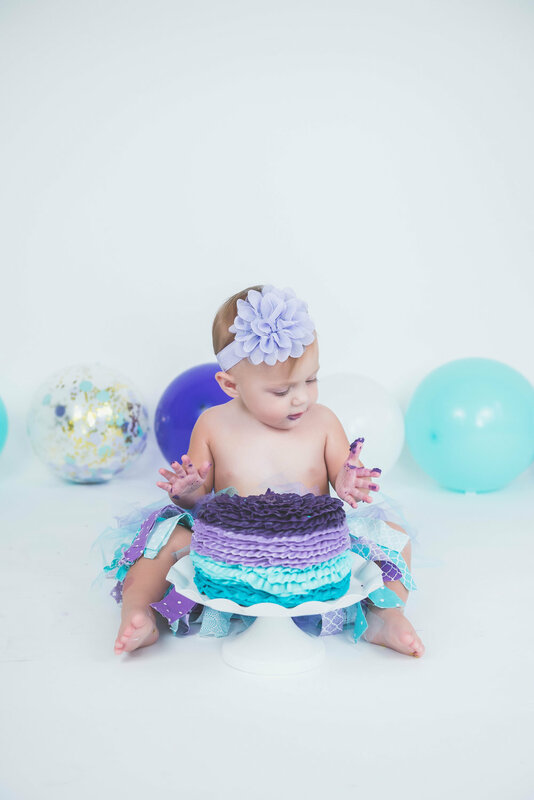 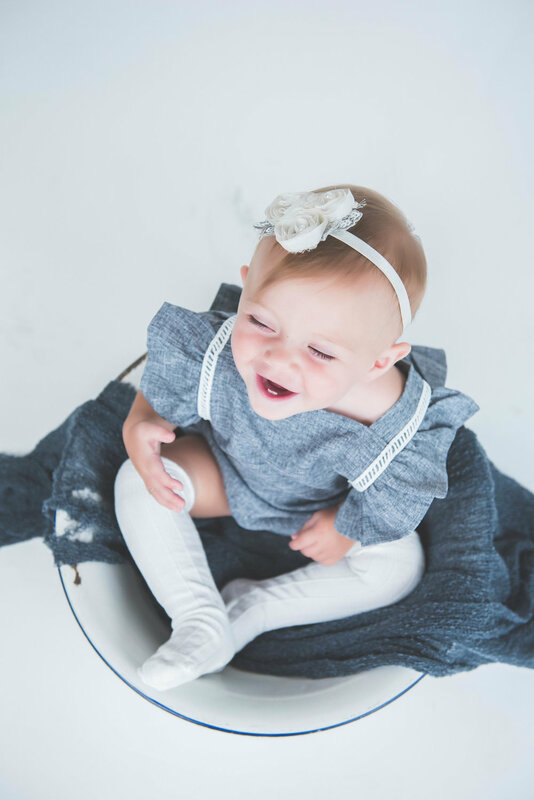 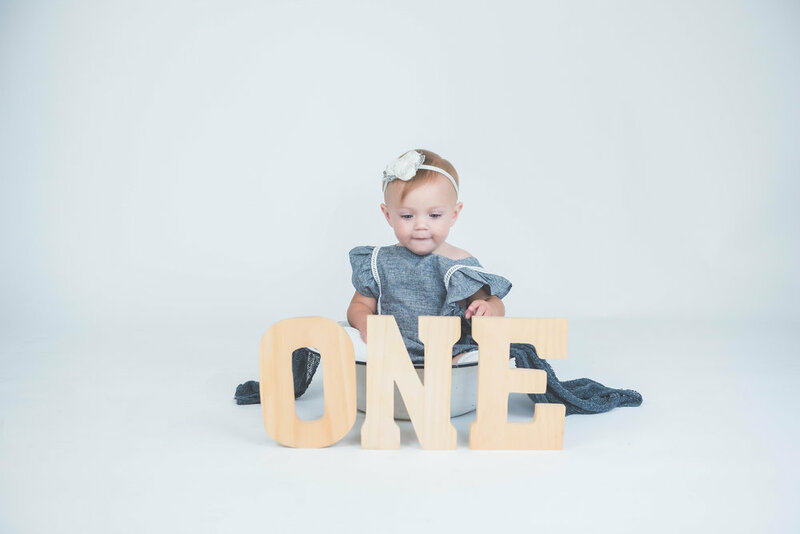 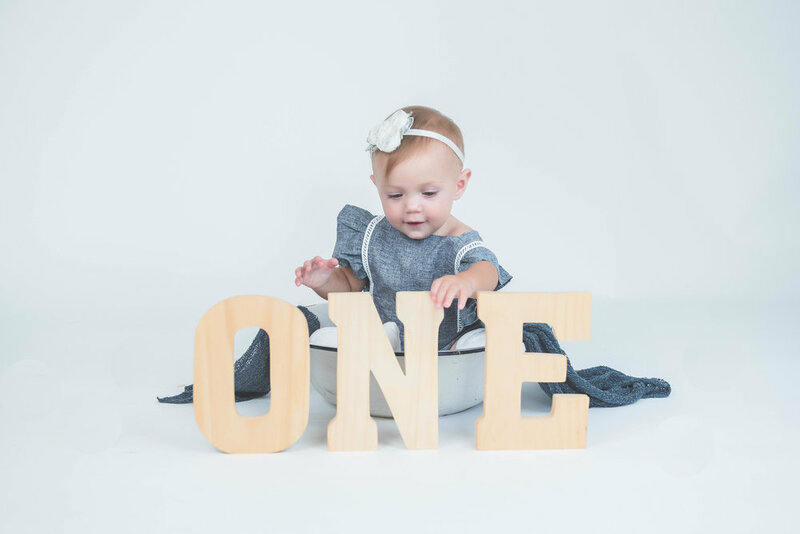 Enjoy these sneak peeks from Avery’s First Birthday Session!